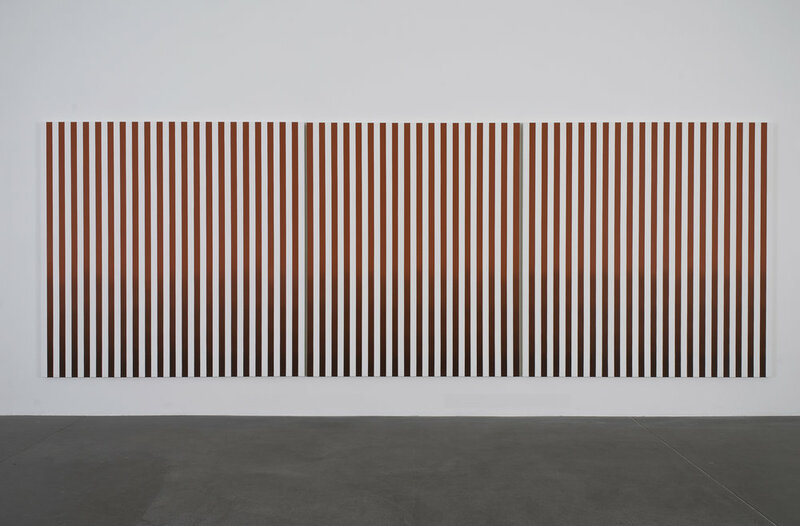 Praz-Delavallade is pleased to announce the second solo exhibition of Philippe Decrauzat. This is the first Berlin public presentation of the artist’s work. Decrauzat revisits the history of 20th century abstraction through the medium of his canvasses, murals, sculptures, films and installations. He claims that a critical distancing from the autonomy of abstraction is necessary to set it apart from other disciplines. This leads him to initiate an encrypted exploration which unobtrusively draws its inspiration from the very sources of our popular visual culture, as well as from the vocabulary of abstract art forms in order to create novel images. Each of these sources is consciously deconstructed to reveal a new point of view, or perhaps an external interference that will affect the reception of the image by the viewer. The gallery’s main space displays an installation of canvasses on the facing walls. 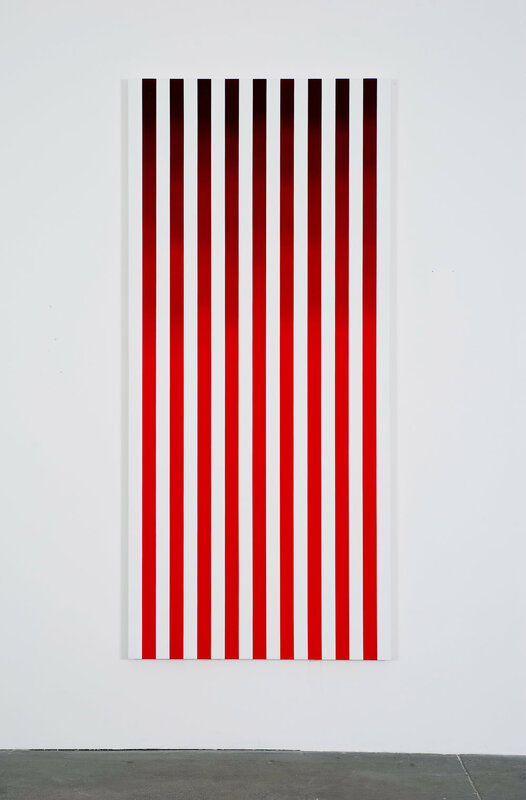 These vertical stripe paintings, emblematic of modernism, appear disturbed as the color darkens as it would under a light effect or perhaps some printing accident of production. The viewer is immersed between these two ensembles, which, were they superposed, would be revealed as even and monochromatic. Painting is thus disclosed as a shopworn, biased regurgitation of the forms that came before, betraying the rigorous code of Minimal art through the visual illusions of Optical art. This same principle of a formalistic illusion which would compel the viewer’s eye, finds another illustration in the film "A Change of Speed, a Change of Style, a Change of Scene, Part II" (2006, 16mm, b/w, silent, 3’16’’). 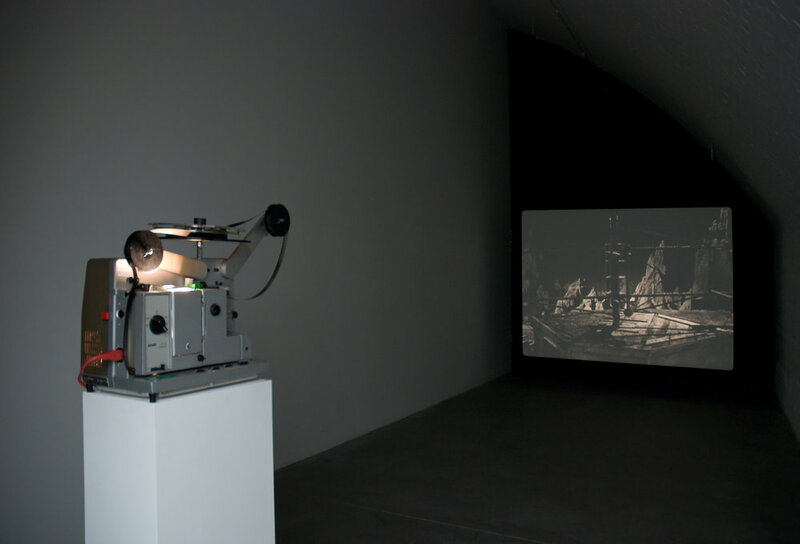 The first section of the film begins with a simple play of graphics – taken from opening images of various films – to which are incorporated snippets of text from a science fiction novel by Edwin A Abbott, Flatland, A Romance of Many Dimensions (1884)—the story of a two-dimensional world faced with the challenge of figuring out what a third dimension might be. Followed shortly after are images of landscapes borrowed from the American series "The Twilight Zone" (1950’s) that appear and disappear in a staccato rhythm that suggests the first recordings of Pulsar CP 1919 1. 1Pulsar CP 1919 is a neutron star, discovered in 1967 whose regularly-timed electro magnetic bursts convey the image of pulsating light. 2Lionel Bovier, in Wiener Secession (ed. ), Philippe Decrauzat, Vienna, april 2008.